Today I have a blog hop for you. But not just any blog hop, the December blog hop! So with lots of presents. And with 11 bloggers. Perhaps you meet some bloggers you didn’t know about! How much fun is that! But what is a blog hop? It is a fun way to get to know different blogs. You start with one blog, and from there you are redirected every time. But why is it so special? Because with all 11 bloggers a nice price to win is waiting for you. And everyone has a chance, internationally! So don’t hold back and check all these bloggers! Maybe you ended up here via Maaike. Or maybe you started with me. 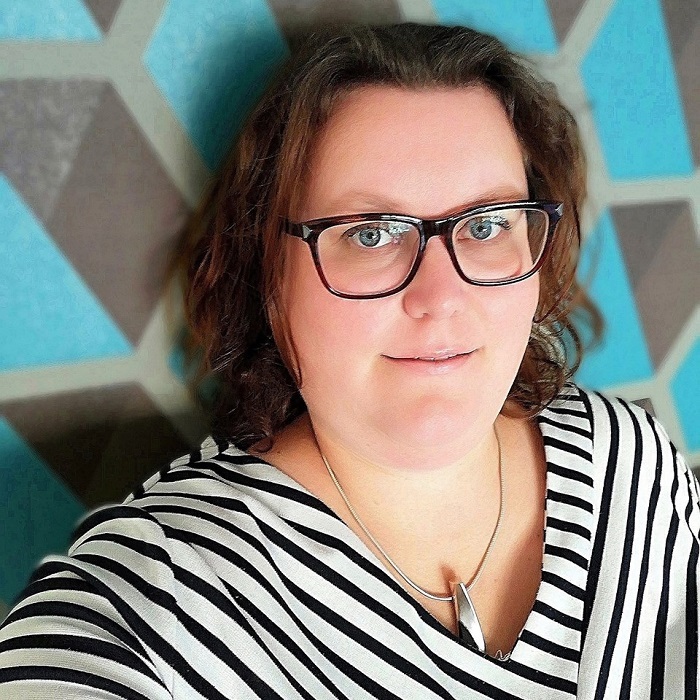 In that case, I hope you like to go to Maaike, blogger on Maaike schrijft op too. Maaike is married and the mother of two sons. She writes about what happens at her home. She works in a library and is an ex-cancer patient. And she has a lot of hobbies and interests. 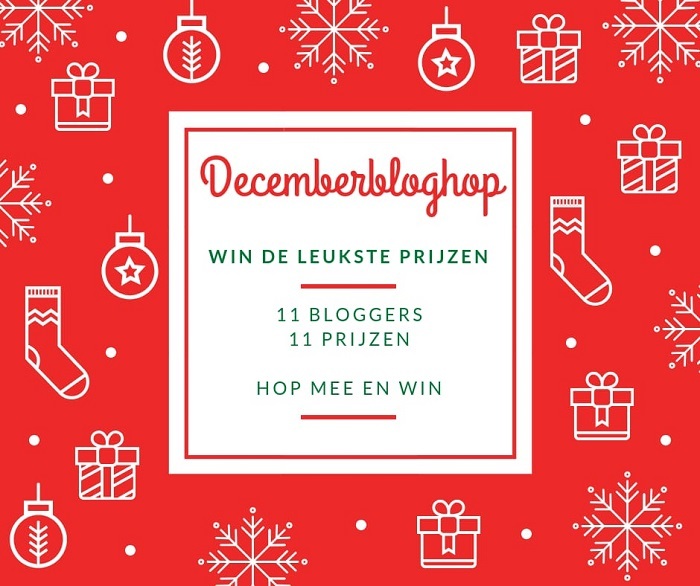 On Maaike’s blog you van win a Kaya jewelry voucher! I will introduce myself for those who are new to my blog. Welcome. My name is Nancy, I live with Gerben and our two Mainecoons. I have a hereditary lung disease and because of that I don’t work anymore. Here you can read more about that. I have worked in fashion for a long time, that was my passion, and now I can completely immerse myself in writing for my blog. I love England, shopping and eating out! 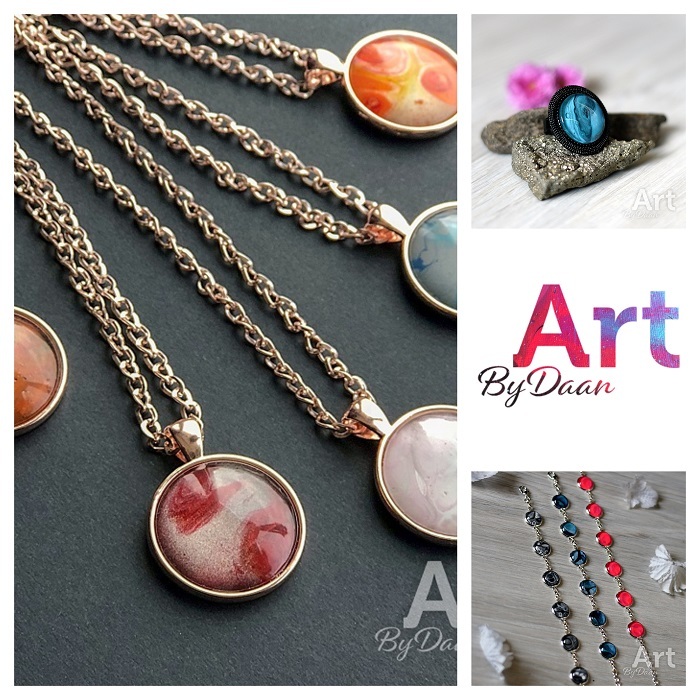 On my blog you can win a voucher of € 24.95 to spend on jewelry by Art By Daan. Self-designed and made! Unique! And now I will direct you to Amy, blogger at Jouvence. Amy is a cat mother, married to Wessel and has fibromyalgia. She is still trying to deal with this as well as possible. Amy is a dental assistant and makes her own jewelry. 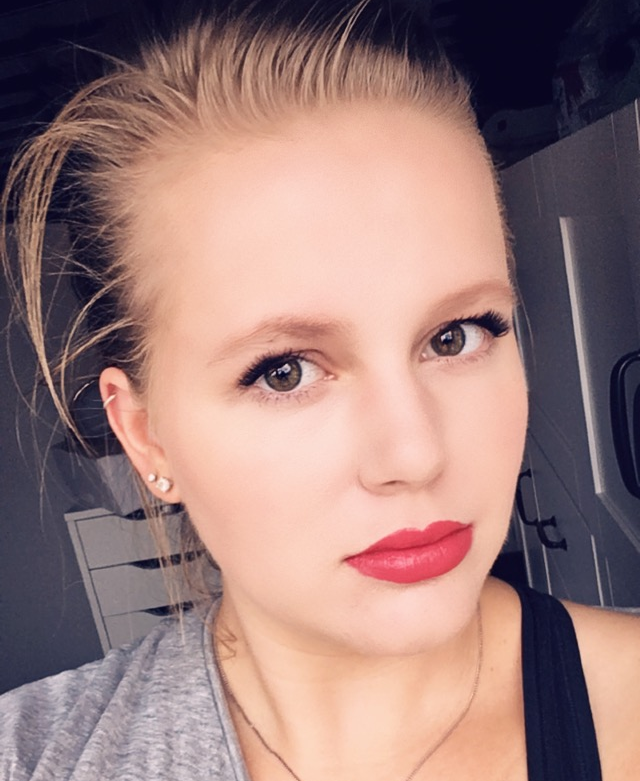 Her blog is a beauty and lifestyle blog with a personal touch. You can win a self-made Christmas package at Amy’s blog! Now I hope you hop to all of us and who knows, you might win a great price! Conditions of the blog hop contest. Follow me on Instagram! To make an extra chance on the prize, you can also follow me on Pinterest No follow-unfollow, you will immediately be blacklisted. After the winner has been announced, you have 48 hours to send your details to me. If this is not done then I choose someone else. That’s all! The contest will run until December 14 and the winner will be announced on the blog on December 16th. You have to give a comment in this post that indicates that you want to make a chance to this price. Good luck! And now it’s time for the start of the Fancy Friday linkup party. NANCY’S FASHION STYLE IS BACK AGAIN! Looking forward to meeting the other bloggers Nancy! Have a wonderful weekend! Thanks Kellyann, have a great weekend! Wow, super nice price, would love to win this, so I can give it to my caregiver (mantelzorgster). To thank her for everything she does for me and my two sons. Thanks for joining! Good luck to you! This is a fun idea and a great way to meet other bloggers! Happy Friday and wishing you a marvelous weekend ahead! Thanks Maureen, enjoy your weekend! Thanks so much for sharing these wonderful bloggers and for the link up! Super fun blog hop, Nancy! Have a fantastic weekend! Thanks Shelbee, enjoy your weekend! What a great idea for the link party. Have a good weekend. Thanks Julie, have a good weekend! Hi Nancy what a helpful and inspiring blog hop this is brilliant idea! Thanks Ashley, enjoy your weekend! What a nice blog. Good luck to all the contestants. Thank you very much Anja! It is allowed Kim. It’s not perse outfits! Thank you. Such a nice post! Have a lovely weekend. Have a good weekend Gemma! What a fun idea! It’s always fun to check out new blogs! Thanks for the link up! Have a wonderful weekend, Nancy! Thanks Andrea! Have a great weekend. This is brilliant Nancy…I love that you know so many other bloggers. Thanks for the fun!! Of course I follow you on both! This is such a fun idea! I will have to check out these new blogs! Thanks for the linkup Nancy! I need to check out some of those other blogs. Thanks Suzanne, enjoy your weekend! Surprises are always good, thanks for listing the new blogs. Thanks Jess, have a great weekend! What a great idea…its always nice to learn about other bloggers. Have a great weekend! Nancy, One of the many things I love about you that you are selfless. I love that you introduce me to these beautiful bloggers. I love the idea. I cannot wait for more like these. Oh thank you very much Rama! I love finding new bloggers to follow—thank you for the introductions! Sorry, I said Claire. I mean of course Cheryl! Nancy- this is great! These are all new to me and I am looking forward to checking out these ladies! Thanks for the linkup- I don’t do fashion posts very often, but I’d really like to do more of them and you are one of the fabulous fashion ladies that I learn from! Thank you! Thank you so much! That is so very kind of you to say! Thanks so much Nancy!! Here I was just enjoying your site, and then I see myself featured – way to make a girl feel really good! I love the idea of getting to know bloggers through the blog hop ! You are doing such a great job of bringing the blogging community together! Thank you! The blog hop is a good idea and such a great way to meet new bloggers. Many thanks for hosting Nancy. Ik pas, maak deze sieraden al zelf. Art by Daan is amazing! I would love to win this! Ik maak heel graag kans op deze voucher. Ik zou een mooi sieraad uitzoeken. Het duurt nog even maar alvast een vrolijk kerstfeest toegewenst namens mijn hele gezin! Nu hop ik weer vrolijk verder naar het volgende blog. Thank you Mica, I hope you had a great time with your family! Thanks Sabina! Fijne week lieverd! Yayy Welcome to all the bloggers. I’ll check out everyone’s blog in the comments section. It’s always nice to read new bloggers. This is a great idea to get know some other bloggers. Love that. Such a fun idea dear! Thanks for sharing this!